The Farquhar College of Arts and Sciences Division of Humanities welcomed actor and activist Richard Dreyfuss to Nova Southeastern University as part of the college's 2011-2012 Distinguished Speakers Series. In addition to being an Oscar-winning actor-most widely recognized for his roles in the films Close Encounters of the Third Kind, Jaws, and Mr. Holland's Opus-Dreyfuss is an activist American citizen. He is a spokesperson on the issue of media informing policy, legislation, and public opinion. He speaks and writes in support of privacy, freedom of speech, democracy, and individual accountability. As a community leader, Dreyfuss aims to encourage, revive, and enhance the teaching of civics in American schools. In support of this mission, he founded the nonprofit organization The Dreyfuss Initiative. This initiative is part of a nation-wide effort to bring back civics to the American youth. 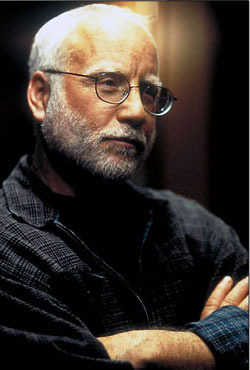 Dreyfuss also serves on the Committee for Education with the American Bar Association and the Board of the National Constitution Center; is a member of the Council on Foreign Relations; and served as senior research advisory member of St. Antony's College, Oxford University. As part of the Farquhar College of Arts and Sciences mission to prepare students for rich professional careers and active citizenship, the college frames co-curricular programs and experiences around a broad annual theme that unites our community in interdisciplinary exploration. The academic theme for the 2011-2012 school year is "Truth and Power." Dreyfuss was the third of the distinguished speakers for the year to address this theme. His lecture was titled "The 800-Pound Gorilla We Are All Refusing to See."